Great Location For Your Convenience! At EuroMotorcars, we strive to provide the highest level of quality and customer satisfaction in all our products and services to you. At all of our exclusive locations, EuroMotorcars Bethesda, EuroMotorcars Devon, EuroMotorcars Germantown, your experience will be the highest in customer satisfaction from purchasing a new Mercedes-Benz or pre-owned vehicle, bringing your Mercedes-Benz, Sprinter and smart in for service, purchasing genuine Mercedes-Benz parts or Lifestyle Accessories, or just visiting our luxurious showrooms to preview the latest new vehicle makes and models. EuroMotorcars Bethesda and EuroMotorcars Germantown have always been the premier Mercedes-Benz dealerships in Maryland. EuroMotorcars Devon joins them as the premier Mercedes-Benz dealership in the Philadelphia area. 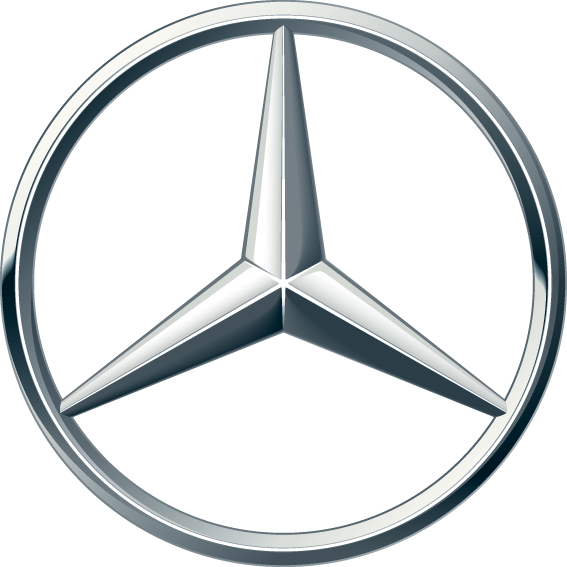 We are the only dealership to sell every car that Mercedes-Benz makes, plus Sprinter, and smart. EuroMotorcars is a premiere AMG dealership as well as an authorized SLR McLaren dealership. EuroMotorcars Bethesda - Your authorized Mercedes-Benz dealer located in Bethesda Maryland. We are conveniently located near Arlington, Alexandria, Chantilly, Silver Spring, Washington DC, Baltimore, Dale City, Centerville and Rockville. Visit Our Website or browse our large selection of new and preowned Mercedes-Benz vehicles here - View Mercedes-Benz Inventory. EuroMotorcars Devon - Your authorized Mercedes-Benz dealer located in Devon Pennsylvania. we are conveniently located near Philadelphia, Radnor, King of Prussia, Norristown, Wilmington, Drexel hill and Chester. Visit Our Website or browse our large selection of new and preowned Mercedes-Benz vehicles here - View Mercedes-Benz Inventory. EuroMotorcars Germantown - Your authorized Mercedes-Benz dealer located in Germantown Maryland. we are conveniently located near Gaithersburg, Leesburg, Frederick, Damascus, Quince Orchard, Potomac and Reston. Visit Our Website or browse our large selection of new and preowned Mercedes-Benz vehicles here - View Mercedes-Benz Inventory. Bethesda Sprinter - Your authorized Sprinter dealer located in Bethesda Maryland. We are conveniently located near Arlington, Alexandria, Chantilly, Silver Spring, Washington DC, Baltimore, Dale City, Centerville and Rockville. Visit Our Website or browse our large selection of new and preowned Sprinter trucks here - View Sprinter Inventory. Devon Sprinter - Your authorized Sprinter dealer located in Devon Pennsylvania. We are conveniently located near Philadelphia, Radnor, King of Prussia, Norristown, Wilmington, Drexel Hill and Chester. Visit Our Website or browse our large selection of new and preowned Sprinter trucks here - View Sprinter Inventory. Bethesda Smart - Your authorized smart dealer located in Bethesda Maryland. We are conveniently located near Arlington, Alexandria, Chantilly, Silver Spring, Washington DC, Baltimore, Dale City, Centerville and Rockville. Visit Our Website or browse our large selection of smart vehicles here - View smart Inventory. EuroMotorcars Bethesda - Your authorized Audi dealer located in Bethesda Maryland. We are conveniently located near Arlington, Alexandria, Chantilly, Silver Spring, Washington DC, Baltimore, Centerville and Rockville. Visit Our Website or browse our large selection of new and preowned Audi vehicles here - View Audi Inventory. BMW of the Main Line - Your authorized BMW dealer located in Bala Cynwyd Pennsylvania. We are conveniently located near Philadelphia, Wilmington DE, Mount Laurel, and Fort Washington. Visit Our Website or browse our large selection of new and preowned BMW vehicles here - View BMW Inventory. MINI of the Main Line - Your authorized MINI dealer located in Bala Cynwyd Pennsylvania. We are conveniently located near Philadelphia, Wilmington DE, Mount Laurel, and Fort Washington. Visit Our Website or browse our large selection of new and preowned MINI vehicles here - View MINI Inventory.